Martin Moe, a customer of Microscope World recently captured this image under his stereo microscope. 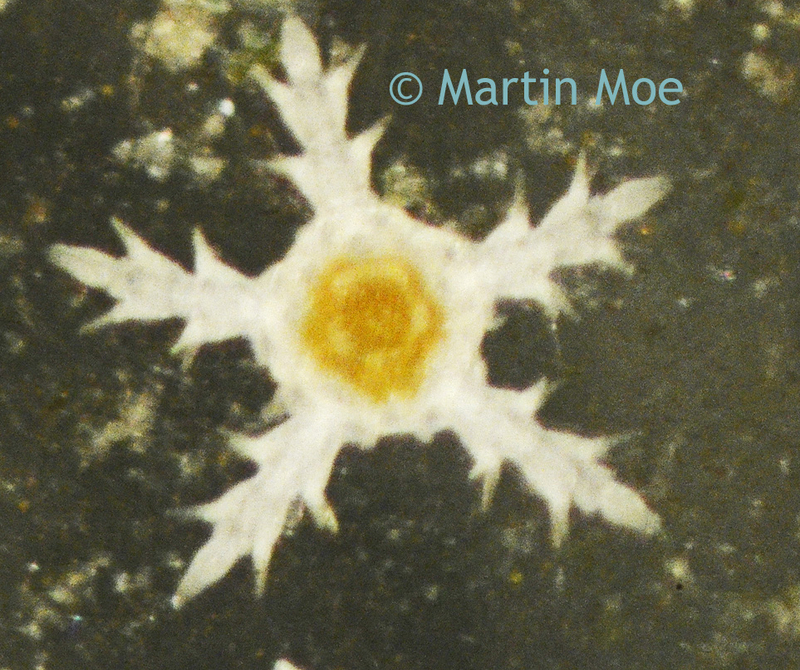 Juvenile Brittle Star Echinoderm under the Microscope. Moe was looking for Diadema juveniles under the microscope on day 58 of the growth phase, when he noticed something that appeared to be an 800 micron sized snowflake. He knew this was an Echinoderm, but wasn't sure if it was a starfish or a brittle star. After further research he discovered that juvenile echinoderms with barbed arms and rapid movement are brittle star juveniles. If you have an image of an interesting species you captured under the microscope we would love to share it. Email Microscope World with questions or photos captured under your microscope.